The official motto of the small town of Saint-Apollinaire in Quebec is "S'unir pour réussir" (uniting to succeed). But on July 16, the town succeeded in accomplishing the opposite. It "united to divide." 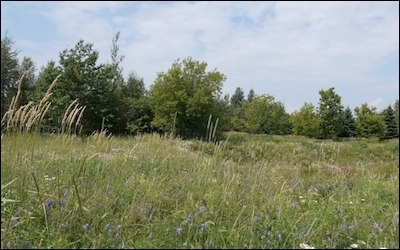 On that Sunday, 36 residents of Saint-Apollinaire, whose properties were adjacent to or bordered a proposed Muslim cemetery in the town, voted 19 to 16 against the cemetery, with one rejected ballot. If there was any evidence needed to highlight the growing chasm between Canadians and the country's Muslim minority, it could not have been delivered in a more hurtful and discriminatory way. The reaction by most commentators was to depict the opponents of an exclusive Muslim cemetery as racist or bigoted. But that would not be the whole truth. The residents of Saint-Apollinaire succumbed to fear of a Muslim presence in their midst. The fact is some in the Islamic leadership of Canada's Muslim community do not want Muslims buried in non-denominational cemeteries. That sends a message that Muslims often consider themselves to be separate, and even in death do not wish to share the soil of the infidel "kafir." 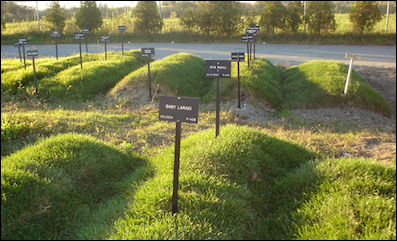 Much has been made of the fact Muslims do not have a cemetery of their own in Quebec, other than one in Laval. But there are at least four non-denominational cemeteries that have sections for Muslims, leased out to the community. Some Canadian Muslim leaders do not want Muslims buried in non-denominational cemeteries. A story from the UK about the experience in one non-denominational cemetery reflects the attitude sometimes found within Islam towards the non-Muslim. There is no doubt in my mind the residents of Saint-Apollinaire did succumb to a fear of a Muslim presence in their midst. But in a climate where some Islamic clerics deliver hateful sermons (many of them unreported), and with the news of Islamic terrorism around the globe, the burden of proof falls on us Muslims to take to task these hate-mongering clerics. Some in the Islamic leadership want exclusivity and control in imposing a Saudi-style Islam, even on the dead. Nondescript Graves at the Islamic Cemetery of Quebec. Whereas the early cemeteries were in the tradition of the graveyards of Egypt, Iran, India and Turkey, the newer ones have been modelled on the radical Islamic teachings of Saudi-financed Wahhabi Islam. Today, many Muslims do not dare put a tombstone over their loved one's graves at some Islamic cemeteries. They have been flattened into non-descript, trampled surfaces with none of the beauty and architecture that was once Islam's uniqueness, a blend of Turco Persian-Indian style over Arabian simplicity. We Muslims can feign outrage at Quebec, but as long as we are content with the 1806 and 1925 destruction and razing of the "Jannat Al-Baqi" cemetery in Medina, where Prophet Muhammad's family is buried, we demonstrate a double standard and hypocrisy that is easily visible to all. Now we hear of a Saudi-based group that is planning to purify Islam in India by blowing up the Taj Mahal, built as an elaborate temple to honour the favourite wife of a Mughal emperor. O Muslims, the problem is not Saint-Apollinaire; it is us.